Lodgix is a vacation rental property management software offering features including online booking, communication automation, multiple listing site integrations, email marketing, accidental damage protection, and more. Lodgix enables guests to book their stays and make inquiries online, through their PC or mobile phone, using responsive availability calendars. Guests can also sign rental agreements using digital signatures - removing the need for the printing, mailing, or faxing of documents. Once the agreement is signed, the document is timestamped and copies are emailed to both the guest and the property manager, creating an agreement which is legally binding across all 50 US states. Lodgix allows users to set up communication workflows for guests, employees, property owners, and staff, to send automated and scheduled emails and texts, before, during, and after a guest’ stay. Communications can be triggered by arrival or departure date, day of the month, invoice status, or receipt of payments. Lodgix offers a WordPress plugin, which allows a user to build a website very quickly and economically while also retaining control over all of their content and search engine rankings even if they choose to stop using Lodgix. When we decided to start a business renting out our old home to riders of the Hatfield McCoy Trails in West Virginia, we looked for a vacation rental management software that could do it all - organize our reservations, manage guest communications, take care of billing and invoicing, and generate online bookings through an easy-to-use booking process. Lodgix fit the bill in all manners. We love the ResortLock integration because it allows us to give guests easy access to their accommodations at whatever time they arrive by giving them their door code in their pre-arrival email - so no one has to be on site to meet them with a key. We have heard nothing but praise from our guests about this convenience. The online availability calendar and booking system is easy to use on a desktop or smartphone, and is a very useful resource for potential guests to get an instant quote or find a week or weekend that's available. We constantly share it on our Facebook page and suggest that those who call us check it out when they are asking about availability. Very complex email trigger scenarios can be set up so that professional, customized emails automatically go out to guests when their reservation is confirmed, when they've paid in full and when their stay is a week away. I have also set up reminder emails to myself so that I remember when to bill customers and when customers are checking in and checking out. We wouldn't be able to run the administrative end of our business, while still working our own full-time jobs, if it weren't for Lodgix. The Lodgix software has helped us give our guests a great customer experience on a tight budget, and has no doubt given our website a professional look that leads to phone calls and bookings.I like the door code integration with ResortLock the most. Our triggered email that sends to guests a week before their stay includes the guests' door code and instructions on how to use it and how to change it. I also like the online booking calendar, which allows us to be transparent with our potential customers on pricing and availability. It makes it easy to book instantly, even from a smartphone. I have owned two boutique property management companies within the past 20 years. Within that time I have researched property management software up and down, backward and forward looking for just the right fit. I finally found it with Lodgix! The ease of use. A person can easily manage one property with Lodgix, or dozens! The software is intuitive to use. I honestly can't recall ever having to call customer support...and I'm not the most tech savvy person. Set up was simple and quick. I also appeciate that Brent is available should I have a question. He always responds in a timely manner. The feature I probably love the most is that Lodgix automatically emails the cleaning company when a reservation is made within the system. This, for me, is HUGE! I used to have to make a 'cleaning schedule' for the cleaning company at the start of each week. This took a boatload of time for me to do and also was open to human error. Since I've started using Lodgix software we have not had ONE mistake with the scheduled cleanings of the vacation rental properties. This sort of peace of mind is priceless! And finally, the monthly fee for using Lodgix is right too. I've paid much MUCH more per month for software that didn't do half as much as Lodgix does with the ease of use it offers. Thank you Brent for developing Lodgix! I'm a fan!! Using it for over 1.5 years. The manuals are pretty up to date, it just takes some time to get acquainted and set it all up, but the team is very responsive. They have a blog I discovered that they constantly post updates from on new features coming up. They've updated a lot of the user/guest interfaces. Though it has taken awhile to get all things in order, it has saved us a lot of time ! Integrated PM account with Homeaway/VRBO and TripAdvisor/FlipKey, calendar syncing for other non-integrated sites. I've attempted to "try" or convert to another platform/VRM/CRM but due to the extensive set up process, I have not successfully switched. 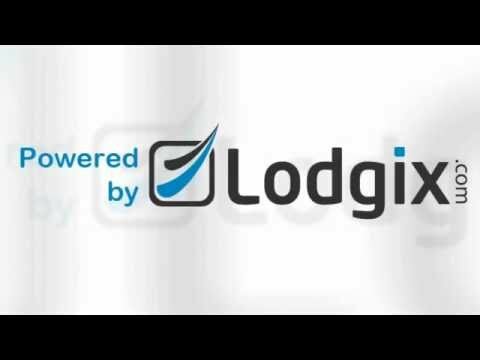 Lodgix has all you need at a great price. I'm glad we stumbled and started with this. It's pretty flexible/versatile, but if you want something better and are willing to pay top dollar, then there's other options out there.Integrated payment processing, email and invoice template customization, automated trigger emails, custom rules/pricing, integrates with our website, homeaway, tripadvisor. 2-way calendar sync, and tons of reporting functions/exporting to excel or pdf is simple. This is the most well thought-out product I've ever purchased. It has every option you could possibly want, and has contributed to our significant growth in the few months we've been using it. The company is incredibly responsive to suggestions and customer service is top notch. It's clear they have an in-depth understanding of the needs of small- to mid-sized vacation rental businesses. They're a true partner and want you to succeed so they do, too. My advice is to buy this software from the moment you enter the vr business rather than fumbling around with different payment methods (paypal, squareup, etc), trying to keep track of inquiries, lying awake at night worried about double-bookings, forgetting to enter a reservation on your calendar and having someone show up unexpectedly, making sure you collect the balance due from guests prior to arrival, properly accounting for taxes, etc.The amount of time and effort to successfully do that without this software is overwhelming.There are literally too many features to list, all of which work seamlessly with each other. Some of the ones that have helped us the most: 1)autoresponding to inquiries (even automatically suggesting comparable properties when the inquiry is for a booked property) 2) building a trackable database of all inquiries and guests 3) sending emails based on specific triggers 4) alerting housekeepers to checkins and checkouts 5) Online booking--no more paypal invoices! No more paypal period!!! Literally get bookings while you sleep, click 3 buttons, and the reservation is accepted, the guest credit card is charged and a confirmation email is sent out (and the email is property specific) Money in the bank! 6) Highly customizable, from discounts, to coupon codes, to custom variables like lockbox codes 7) Simplifies all finances, accounting, tax reporting, allows analysis of your business based on occupancy rate, revenue per unit, etc. so you truly understand and can grow your business. There are literally too many features to list, all of which work seamlessly with each other. Some of the ones that have helped us the most: 1)autoresponding to inquiries (even automatically suggesting comparable properties when the inquiry is for a booked property) 2) building a trackable database of all inquiries and guests 3) sending emails based on specific triggers 4) alerting housekeepers to checkins and checkouts 5) Online booking--no more paypal invoices! No more paypal period!!! Literally get bookings while you sleep, click 3 buttons, and the reservation is accepted, the guest credit card is charged and a confirmation email is sent out (and the email is property specific) Money in the bank! 6) Highly customizable, from discounts, to coupon codes, to custom variables like lockbox codes 7) Simplifies all finances, accounting, tax reporting, allows analysis of your business based on occupancy rate, revenue per unit, etc. so you truly understand and can grow your business. I have only been using Lodgix for 3 months now and have found it a life saver! Getting started was fairly easy. There is a learning curve in some areas but mostly it is common sense. I have often peppered online chat with questions and their response was very good, no matter if it was 2pm or 2am. I have found customer service to be not only open to suggestions for improvement, but surprisingly agreeable to changes and enthusiastic about the implementation of such ideas to enhance the user experience. I have found customer service from the beginning and through the date of this review, that they have been exceptional. Customer Service is the obvious winner here! Customer Service really deserves 10 out of 5 stars in my opinion. All questions are promptly answered. Their scheduled trainings are not only informative, but they go out of their way to spend more time answering any and all questions even if not related to the training subject matter. Customer service is so wonderful that it sometimes overshadows the features and value of Lodgix software. I have been able to fully integrate many booking channels under one roof and even opening up a few more. Channel manager working great. I was able to bring over my current payment service. Everything, once set up has been executed without issues. Some time and diligence is required though. Dont try to rush your self to get going (it is easy to do I must admit). Take your time, you will be rewarded once you flip the on switch! I am beyond satisfied with Lodgix and so grateful to Brent and his team for making the transition into Lodgix painless. This ability to fully integrate Homeaway/VRBO, TripAdvisor/Flipkey and Booking.com has been great...AND...ICAL syncing with just about everyone else! Wow, thanks for the kind words Richard! I hope Lodgix and our team continue to exceed your expectations in the future. We've got a ton of exciting new features to launch and look forward to working with you for many many years. Additional modules are also available on a subscription basis. Users can set up email and text alerts, and trigger these to be sent on or relative to specific dates or events, including arrival and departure dates, invoice status or payment, or day of the month. Lodgix offers reporting on income, occupancy, receivables, expenses, and more. Guests can book online or on their mobile phone with Lodgix’s mobile-responsive availability calendars. Users can add accidental damage cover to guests’ reservation fees, rather than taking a security deposit. With digital signature, guests can sign their rental agreements online, and have a copy of the signed document emailed to them and the user, with no need for printing, faxing, or mailing. Below are some frequently asked questions for Lodgix. Q. What type of pricing plans does Lodgix offer? Q. Who are the typical users of Lodgix? Q. What languages does Lodgix support? Q. Does Lodgix support mobile devices? Q. Does Lodgix offer an API? No, Lodgix does not have an API available. Q. What other apps does Lodgix integrate with? Q. What level of support does Lodgix offer? Q. Which apps is Lodgix compared to most often?